Political cartoonists in particular, hold a lens up to our world, enabling us to see events in a different perspective. I think of a cartoonist as more than a lens, in fact. A mirror and a lens – a kaleidoscope. You see something new every time you turn your head. 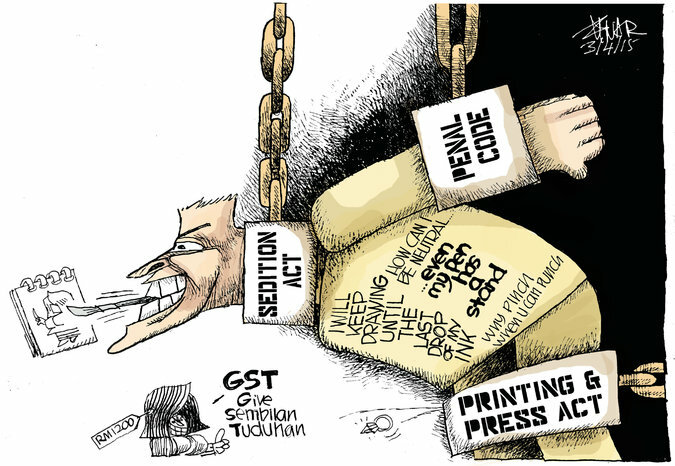 Malaysian cartoonist, ZUNAR, known for his powerful editorial cartoons for 20 years, has been getting under the skin of the ruling class. In 2010 he was arrested just before his book “Cartoon-O-Phobia” was launched. The crime? Sedition! Interestingly sedition laws exist in many countries. We often hear of France’s Charlie Hebdo being threatened. But cartoonists have been under siege. Likewise, bloggers, especially political writers have been attacked in countries such as Ecuador, South Africa, India, and Sri Lanka. In Bangladesh, four bloggers have been murdered. Singapore recently jailed a blogger for 10 months, and also sentenced an Australian journalist for 10 months, for sedition. As our modes of communication grow smarter, we seem to be doing a shoddy job of using them. This is not just about the misuse of Twitter, of which dumb tweets are legion. Such as a Time correspondent firing off a tweet wishing for a drone strike on Julian Assange in 2013. This is about young people who have too powerful publishing tools at their disposal. If you like to know more, you will love this compilation! This week, six High School students in Arizona got themselves and their school into serious trouble, using SnapChat. They got a picture of themselves taken wearing shirts that spelled out a racial slur. They learned, too late, that an app’s ability to ‘communicate’ should not define the message. (If none of them had data-enabled mobile devices would anyone have even bothered setting up the shot?). An editorial in the Arizona Republic asked how students who have gone through a curriculum that probably included close reading and discussion of the civil war era, could have been so crass. It’s hard to imagine these girls got this far in school without reading the ugly chapters in American history about the enslavement and oppression of Black people. Did they fail to pay attention? Did they fail to connect the dots to real people? Let’s not get parents off the hook. How much time are we spending with young people to inform them about media use? It’s easy to be tool literate and media stupid. You pay for the phone and the data plan. You own the device; you set the rules. A phone is not like a pair of shoes, it doesn’t have to belong to the end-user. You better decide on the apps that get on the phone. Don’t complain later when a kid is spending too much time on Insta-brag or Brat-chat. I mean Instagram and Snapchat. Like your car keys, devices not owned by a child should be stored outside of bedrooms at night. It’s possible for homework assignments to be completed without digital devices. Really! Make sure your child makes every effort to not be in a video taken by a fellow insta-bragger. Finally, make sure your child’s school has a policy that has been updated to match the ubiquity and speed of shared media. 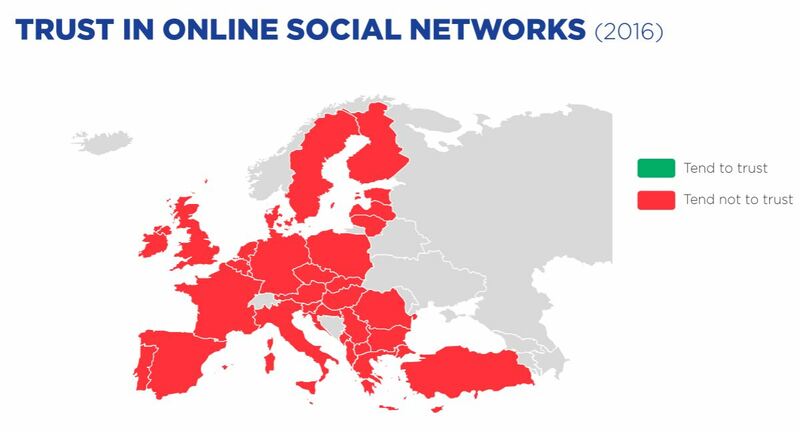 It’s no longer valid to call it a ‘social media policy’. It’s a device use policy. What will we lose when books die? I’ve been struggling with what might be the long-term implications of focusing too much on digital books, and less and less on the those made from dead trees. We know, how for practical reasons, libraries have been looking away from book stacks and into what e-books could offer. I also noted recently my disappointment at one aspect of the ‘death of print’ – the news that Britannica is ceasing to go into print. Some of my friends thought it was a good thing. One said it was cumbersome to have to dig into journals for knowledge he needed fast. I was interested not in what it meant for us in the now, as to what it meant for present younger (and future) generations, who automatically think that search engines index and reveal everything there is to know on a particular subject. Walking the stacks, following a footnote or checking out what’s on the shelf above P96.T42K567 2007 is a bit like getting a glimpse at the ducts and plumbing behind the drywall. Or the Web site’s source code. Libraries are wonderful content gardens that rejuvenate the mind. I have a few that I love, and one that really irks me, but I still go back! I always wondered why they draw me and my children.After all, aren’t they gravitating to all things digital? Indeed! It’s hard to accept that not everything is a click away!